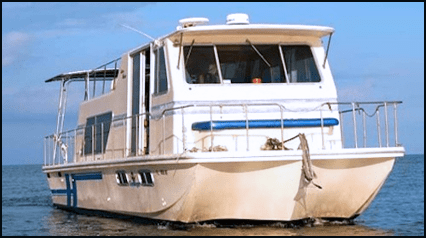 Donate Houseboat to charity, Much easier than selling! Houseboat donations of any size accepted. Donate houseboat and enjoy a fair market tax deduction plus free transport anywhere in the USA. Donate houseboat to charity today! Give Your Houseboat Today And Have It Picked Up From Anywhere In As Little As A Week! Transform A House Boat Into Five Years Of Federal Tax Savings With Us! Very few charitable organizations accept houseboats, but we are different! Donate any type of houseboat from anywhere in your state free of charge with us and have it picked up by our houseboat transport teams in as little as a week; start today in just five minutes over the phone through one of our helpful volunteers or by completing our house boat donation form below. With a few short details about your house boat you can receive federal tax savings and free transport with or without a trailer! You have a sailboat that you want to divest yourself of but you simply do not have the time or inclination to sell it on your own. Do you list it with a broker and hope that you get a decent price, even after the commission fees? What you want to do is call Online Boat Donation and donate a sailboat instead. There are two main reasons why you should make a sailboat donation. First, you will likely receive a better value for it through a fair market tax deduction, which spells great savings for you come income tax time. And second, when you donate a sailboat, you are helping a variety of charitable organizations goals.